As part of the Institute on Ecosystems' Rough Cut Science Seminar Series, Dr. David Titley will give a talk titled "The Ice Keeps Melting - Is Anyone Listening? The Ever-Evolving Politics of Climate Policy" at noon on Wednesday, Oct. 10 in the Byker Auditorium (Chemistry & Biochemistry Building). 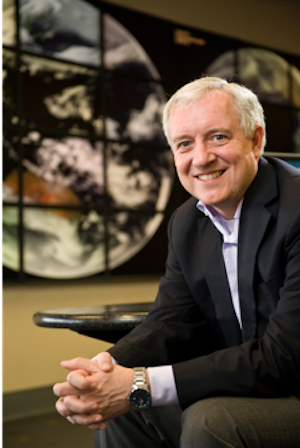 Dr. David Titley is a Professor of Practice in Meteorology and a Professor of International Affairs at the Pennsylvania State University. 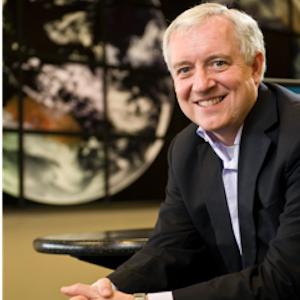 He is the founding director of Penn State’s Center for Solutions to Weather and Climate Risk. After graduating from Penn State, Titley served as a naval officer for 32 years and rose to the rank of Rear Admiral. Dr. Titley’s career included duties as commander of the Naval Meteorology and Oceanography Command and Oceanographer and Navigator of the Navy. While serving in the Pentagon, Dr. Titley initiated and led the U.S. Navy’s Task Force on Climate Change. After retiring from the Navy, Dr. Titley served as the Deputy Undersecretary of Commerce for Operations, the chief operating officer position at the National Oceanic and Atmospheric Administration. In 2017 Dr. Titley gave a TED talk on Climate Change and National Security that has been viewed nearly 950,000 times. He serves on numerous climate and security-related advisory boards and National Academy of Science (NAS) committees; he currently chairs the National Academies of Science, Engineering, and Medicine Climate Communication Initiative committee, and is a member of the NAS Board on Atmospheric Sciences and Climate. He received an honorary Doctorate degree from the University of Alaska Fairbanks and is a Fellow of the American Meteorological Society.